Bluetooth wireless streaming and USB ripping for MP3 recording. This vinyl music player could be one of the most important re-inventions of the decade in the music industry. After the introduction of MP3, which is now the most common form of music, music has become too easy to access. I believe that is the culprit of its declining value. Nowadays, if you like a song, you can get it with just a few touches on your mobile devices. That is too easy; so easy that music has turned into a readily disposable commodity. Music today is also mostly heard through headphones, not speakers. If you are picky, you might get a better pair of headphones, but more or less, everyone is just hearing the same "sound". In a way, there is no longer personal preferences on how you want your music to sound and feel. 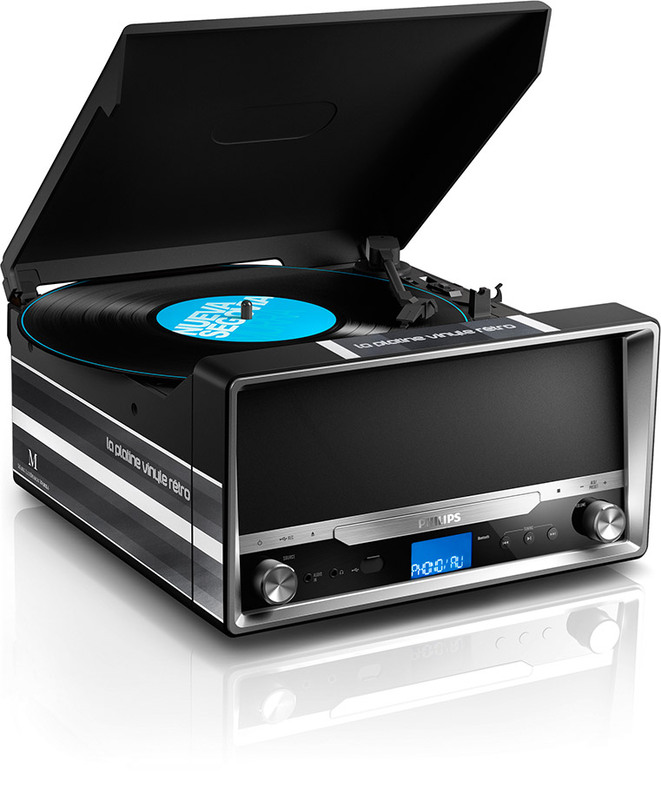 La Platine Vinyle Retro reminds me of my teenage years, the time when we listened to vinyl records. Getting new LPs of my favourite artists was a mission critical endeavor. I would wake up early in the morning to be among the first to queue outside the record store. I would be so pleased to look at the artworks on the record cover, carefully slide out the vinyl from its sleeve. I would spend time examining the grooves on the vinyl, check out how many tracks there were on one side, and read the record label to make sure I know which side was indeed side A. Then with tact, I would place it onto my record player, spend a minute to clean the needle, move the arm and let the record spin. Lastly, the most exciting moment would be to place the needle onto the LP, to enjoy the sound of the most important track of an album - the first track. Youngsters nowadays never get to experience such tangible fun in playing their favourite music. I am so glad that Philips is bringing the fun back to everyone. I really believe this experience, this fun process of getting your music played can make everyone love their music more. Furthermore, I have to thank Philips for the honor of creating my own version of this lovely player. 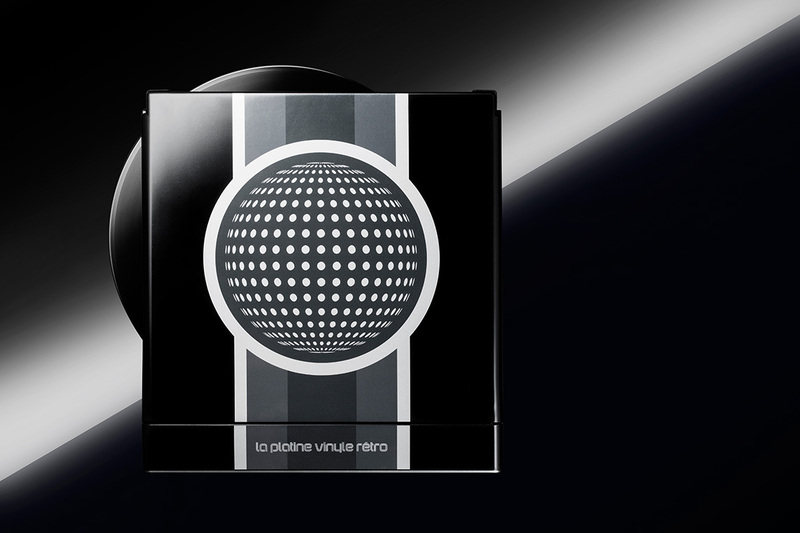 To me, my version is as cool as this La Platine Vinyle Retro can get. All my hard work in upgrading the look of this player reflects my vehement love for music.